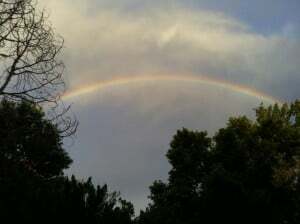 Our new ‘hood; rainbows and unicorns! A couple weeks ago, we moved into our new old home. Unlike most folks, we look for homes in need of a little TLC. I don’t care about granite counters or remodeled bathrooms. I’ll get to that in a moment though. 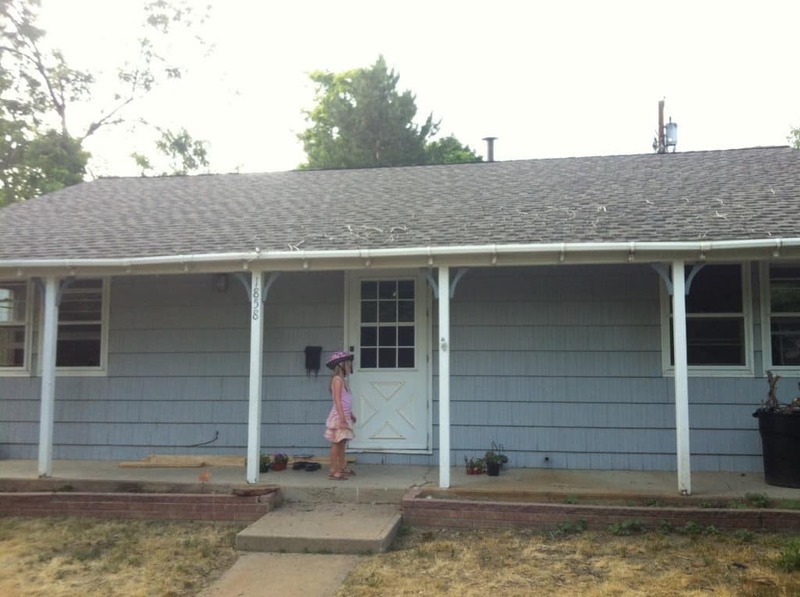 We hastily moved into our last neighborhood in April of 2012 and couldn’t stand it. We knew almost immediately that we weren’t going to stay and our inclination was to high-tail it back to Wisconsin where we had moved from. Our home went on the market, but didn’t sell. We decided to explore other parts of the state and found a town we really liked. The people seemed good and the town just felt right. We decided to live near the older part of town, near the main street. The homes are older, but the city is very walkable in this area. So, we had figured out where we wanted to be, but we still wanted to wait for the old home to sell before buying another one. Finally, last month, we closed on the sale. The next step was to find the next home to live in. This wasn’t so easy. It seemed that everyone else wanted to live in our chosen town, too. The housing market was on fire. Often, homes would be under contract within a couple hours of hitting the market. Bidding wars broke out for nice homes in the right area. Ummm, why does our shower door have a big mirror on it? The first day we went house hunting, I didn’t really like any of the homes, but there was one that I kept thinking about. Certain things stuck out in my mind. While old, it was half the age of many of the others and better built. The house was amazing ugly, but had a new, high efficiency furnace and even air conditioning, which many homes lack here. All of the floors of the home were nice and flat, unlike many of the older homes where floors were noticeably uneven from sagging beams and settling issues. The house had a huge garage. Many of the other homes had a 1 car, detached garage if they had one at all. What really got me was the area though. The street is a mixed bag. Someone is building a $1,000,000 home at the end of the street and a couple of the other homes in the immediate area had recently sold for $500K+. On the other hand, some of the others weren’t well maintained and were in various states of disrepair (including this one). What I quickly concluded was that the neighborhood was on the upswing. People who don’t want to pay the premium to live in the most expensive part of town are buying just a little farther out, where the same home can be had for hundreds of thousands less. We were amazed at the difference a couple blocks made. Same town, same schools, etc. We’re just not quite as close to the city center. Bingo! We had found our new place. Of course, location is everything in real estate. I’d rather own a not-so-nice home in the good part of town than a really nice place elsewhere. What makes a part of town good varies from person to person. What I really like is an area that is on the upswing. It may not be as desirable as the best part of town, but you’re going to save a bundle too and there is greater potential for price appreciation. My favorite areas are like the one we just moved to. I can see the area is turning over. In 15 years, our street will look completely different. The really old folks and the guy down the street with the axle in his front yard will have moved on. Someone spent a lot of time putting nice woodwork around this support beam. But why? Our home had sat for a month in an ultra-hot market because of superficial problems. On the surface, the home looks just terrible. 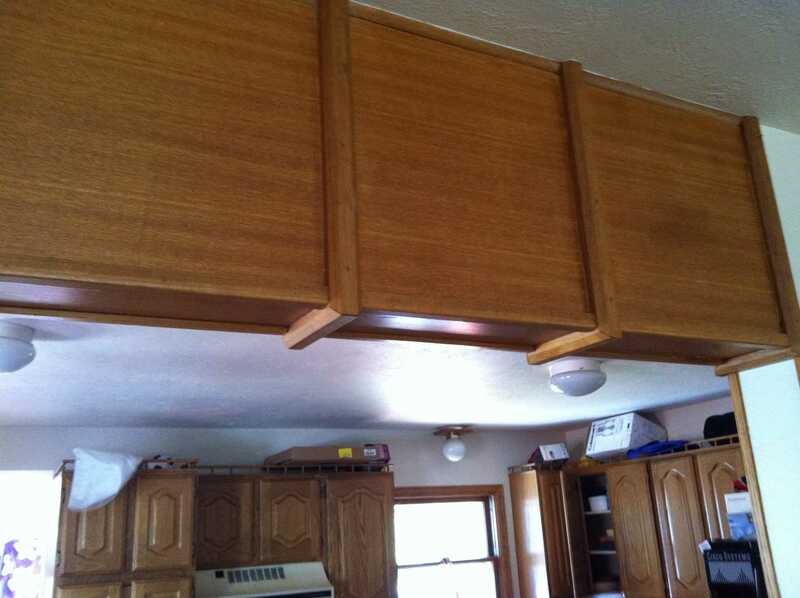 The previous owners had taken most of the appliances. 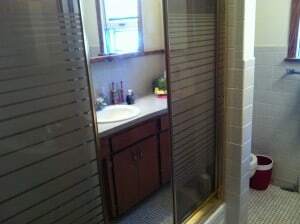 The bathroom is really ugly, clearly having been last remodeled in the disco era (anyone want shower doors with stripes and mirrors?). Same goes for what is left of the kitchen. From the street, the home has no curb appeal whatsoever. The lawn is dead. The trees that aren’t dead desperately need trimming and house is just plain ugly. It makes me nauseous just looking at it. However, I looked a little deeper. Structurally, the home is solid. I went in the crawl space and everything was straight and had been built correctly. The furnace, water heater and air conditioner were almost new. The roof had also just been replaced. All of the problems are cosmetic and won’t even cost me that much to fix. I’ll gut the kitchen and bathroom, install some new tile and fixtures, and the place will look like a million bucks! Well, actually I’m hoping it will look like $250,000 bucks. The next 6 months will be a bit hectic. In addition to remodeling that old bath and kitchen, I’ll be adding a second bath and a 3rd bedroom. 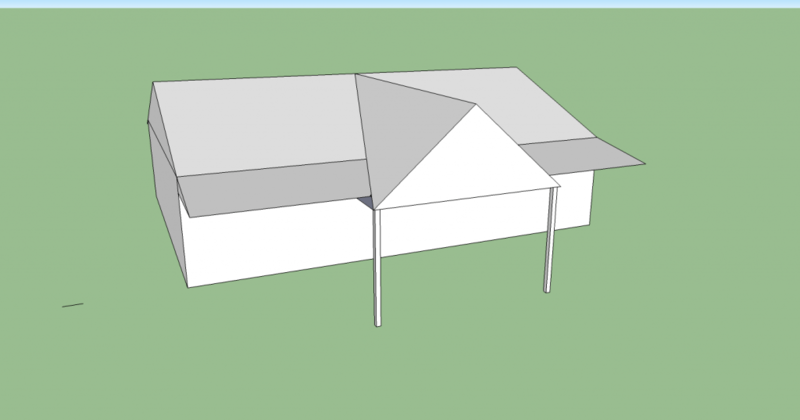 I’ll also be playing around a bit with the roof-line to give the house a new look. Finally, I’ll be putting in new windows and siding. I estimate I’ll have to spend about $25,000 on it, but I’ll be increasing the value substantially because of my sweat equity. But all of that is a post for another day. We definitely have similar taste in homes =). Ugly we can fix. Small we can even make feel a bit bigger sometimes. But it’s hard to fix a bad neighborhood or HOA. What kind of siding are you replacing? We did that on our place and it was a bear of a job getting the new siding for the highest parts all the way up there. The house has ancient cedar shake siding and we’re going with the cement Hardie board. I have parts of my rood that are 20′ high as well. However, we’re going to do something else for the gables to mix it up a bit and make the job easier. Our past HOA wasn’t terrible, but I’d still avoid them if I can. It costs us $700/year for not much besides an outdoor pool. For $700/year in our new area, we get a family membership to the city health club (complete with running track) and 4 pools, one being an indoor waterpark. We’re having a tough time finding our perfect home. We don’t care if it needs to be remodeled. It just need to be a good value and the outside has to have potential. Michelle recently posted…$10,192 in June Extra Income – Side Hustles! Don’t give up. Every day that goes by, you’ll learn a little more. You’ll be ready to pounce with confidence when a good one hits the market. Can’t wait to hear/see the progress! Glad you are moved and liking the new town! And I can’t wait to be finished. Family of 4 (3 of them female) = 1 bathroom = tension! Also, all of my reading time is gone. Great points. I probably won’t be looking to buy for several more years, but when I do this will be what I’m looking for. Location is really important – my parents’ house being on a main road was the biggest deterrent to selling it. I would also rather live in a fixer upper in a nice area than a $400k house in a bad neighborhood. Feeling safe is important too! Yep, safety is very important. The last thing I want is to get stabbed! Our last home was 400 and this one is 176. Its very comforting having all of that extra money at the end of every month too. I think your analysis is right on: try to find the right location, ideally one on the upswing, and an ugly duckling in a market that supports improvements is nice, too. Good luck on all the improvements and please let us know how it goes! Thanks for the encouragement! Windows and siding project starts on Monday. Looks like we’re along the same wavelength – coming down to location. Virtually everything else can be fixed as long as you know what you want and how to accomplish it. We’re seeing now that the same house is MUCH different now that we have three little ones and thus looking at what we should do in light of that. Yep, location is everything really. Fixing stuff isn’t hard either. Hit up YouTube, check out some library books and take your time. We’re not building satellites. Marvelous and good luck with all the refinements in your new home!!! We wonder what you could do with our little townhouse on a dime? You guys are like house genies!!! Astounding. I need a trip to Houston! Not until winter though! It sounds like you’re doing what we did 25 years ago. It will be interesting to follow your progress! I will be doing all of the work myself. As for the neighborhood, its a gamble. I have a couple things to say about that though. I live on a little dead end street of about 30 homes, so in many ways, the neighborhood is my street. The home being built at the end is $1,000,000+. Most of the really bad homes are owned by seniors. As they move on, young people are going to come in and buy these. Also, I’m not opposed to some fix and flips. If I can buy 3 to 6 of the really ugly ducks over the next decade and do some fix and flips, I’ll be a one man gentrification machine. With that said, I am fine with the neighborhood the way it is. The people are nice enough and I do like the area. Yes, cookie cutter homes are boooooooooooooooooooring. The rest of the year is going to be crazy, but fun. I don’t think I’ll be able to complete the entire thing in 2013, but at least 75% of it. That sounds like a dream home. The cosmetic stuff is easy to fix within a few months so it sounds like you made a smart choice. What are you doing to the roofline? That sounds like a more major repair. Thanks CashRebel! It will look great by the end of the year. Sometimes, its hard to look at something beautiful and imagine what it can be. If you can though, you’ll come out way ahead. I posted some Before and After roofline pictures as well. Awesome! I love reading about home improvement, and you’re so smart to look for a needs-lots-of-love home! You’ll like this blog for the next 6 months then as our projects are going to take up a lot of time and will be thoroughly documented here. Yep, this thing was hit by an ugly stick, maybe even an ugly wrecking ball. Making it great is part of the fun though. I stand in awe! Your house as it looks now is how it might look in our care five years from now. It’s just that we really do not know what to do. By making a study out of the 1500s, perhaps we can do something carpenterish one of these days! The FLWrong comment is priceless! GamingYourFinances recently posted…Why pay off the mortgage early? Although the location, location, location mantra was wired into my brain before we bought our first house, we still gambled a little bit, hoping to get zoned to a brand new middle and high school after the lines were redrawn. Plus, we wanted to BUILD a house. Fast forward and our wonderfully built new home sits on the wrong side of the highway for zoning purposes so we’ll have to move and pay MORE per square foot for an OLDER home in the neighborhood we’re targeting – and it’s less than two miles away.